Show Off | Pro Chem, Inc.
SHOW OFF is a natural, gentle, nontoxic hardwood floor cleaner that contains no harsh detergents or strong alkalis. 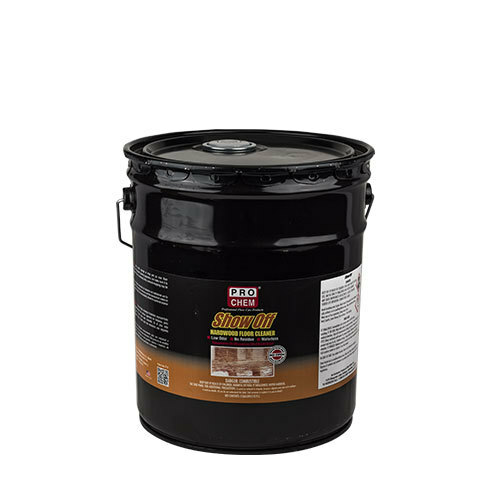 It cleans finished wood quickly and safely, leaving a light-enhanced gloss. Use a cloth, sponge or mop and go over floor completely. Do not saturate cleaning apparatus, but make sure it is well moistened. If floor is extremely dirty, a second mopping may be necessary.